Jacksonville Jaguars running back Leonard Fournette is looking to have a breakout season in 2018. A luggage brand called iFLY is now also hoping that the smaller market player makes waves on the national level after entering into a sponsorship deal with the LSU alum. Calego International, owner and operator of iFLY Luggage, has entered into the deal with Fournette, which will include the introduction of a new X Series 7 line of bags and travel accessories inspired by the running back. 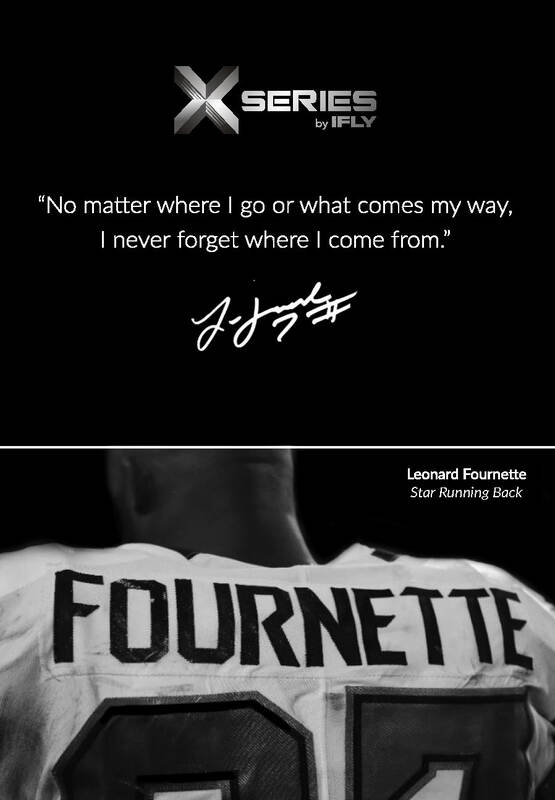 Fournette and iFLY will be releasing three new pieces — a backpack, duffel bag and essentials kit — to kick off the X Series 7 collaboration. A unique feature on the items is the inclusion of airline-approved USB ports. The new product line is expected to launch in close proximity to the Jaguars’ game against the Philadelphia Eagles in London on October 28. Promotion of the partnership will be amplified at that time, highlighting how Fournette uses the products in his travel abroad. Roc Nation Sports negotiated the sponsorship deal with iFLY on behalf of its client Fournette. The Jaguars running back is currently performing on a rookie contract worth roughly $27 million and is coming off a nine-touchdown, 1,040 yard rookie season. Fournette received one of the most valuable endorsement contracts ever for an NFL rookie when he entered into a multi-year deal with Under Armour, joining other prominent NFL players to endorse the brand such as Tom Brady, Cam Newton, Julio Jones and Demaryius Thomas.